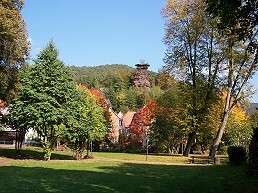 State-approved health resort, on the B10 between Landau and Pirmasens, situated in the Palatinate Forest Nature Reserve, Germanys’ largest coherent forested region. The new Adventure Park is just below the fabled Teufelstisch (Devil’s Table), the only Geotope in the Palatinate, and perhaps the most bizarre of all the red sandstone cliffs of the Palatinate. This beautiful half-timbered village is an ideal starting point for hikers with its’ many Nordic Walking tours. 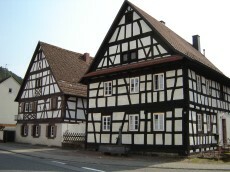 Hinterweidenthal is ideal for short or robust cycling tours. 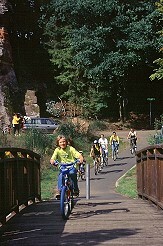 Whether along the German-French PAMINA Lauter Cycle Way, the Pfalzerwald Tour or the Pirminius Cycle Path.